Finish : Nickle / Chrome plated.As per IS standards. - Taper Cone-As Per AT3 Class. 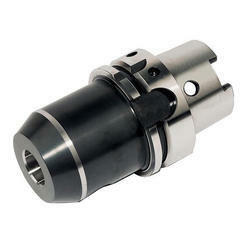 Allcon is a renowned organization engaged in offering the best Side Lock Holders (EM WELDON TYPE) in Bangalore, India. We are providing the best quality Side Lock Holders (EM WELDON TYPE) products according to the international quality guidelines. We are wholesaler Side Lock Adaptor. - Used for holding straight shank tools. - Available in BT & SK Tapers. - Weldon flat similar to DIN 1835-B and DIN 6535-HB.